There’s a space center in Kenya, the Luigi Broglio Space Center, but it’s owned by Italy. This is the story of how it came to be. It was an improbable event in space history. An improbable event in a young, unlikely country. Just a few days after Kenya gained independence, a small tugboat pulled a monstrous, 1500-ton triangular offshore oil rig from the harbor of Taranto in Italy. The destination was Kenya, specifically the Mombasa Harbour. But the journey had only just began. Somewhere in the Indian Ocean, a powerful storm threatened to hurl the tugboat against the oil rig. The crew quickly cut the connecting tugs, allowing the rig to float away. Once the storm subsided, they then set out looking for it. They only found it days later. Built in the United State in 1959, the 40 m-a-side rig’s original name was Scarabeo. When it arrived in Italy to be readied for a special space mission, it was renamed Santa Rita. In Catholic Doctrine, Saint Rita is the patroness of impossible causes, and this, right here, was such a cause. 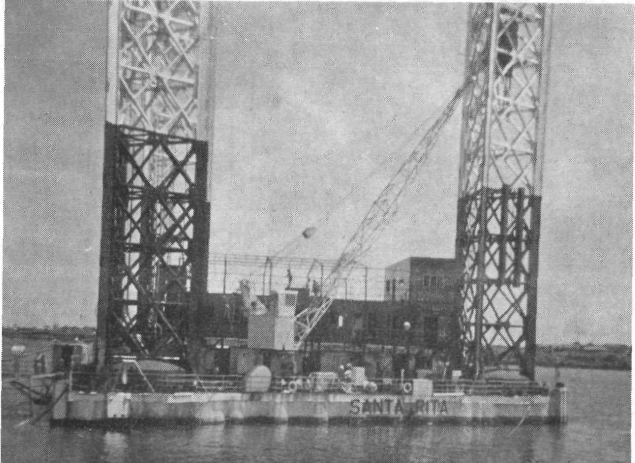 Santa Rita arrived at the port of Mombasa in early 1964. It was going to undergo a few more modifications before being moved to the Ungwana Bay (formerly Fomorsa Bay), off the coast of Malindi, for its main mission. There, its legs would be lowered to the ocean floor and the hull structure self-elevated on the legs. Then the real work could start. Santa Rita at the Port of Mombasa in 1964. The Santa Rita platform was only one of two planned platforms that would form a small Italian space station off the Coast of Kenya. It was the first satellite station south of the Equator, and the only one that close to it. It was also Italy’s loud announcement as the third country to enter the space race. But it wasn’t as easy to find the second platform, already named “San Marco” (St. Mark). This one had to be bigger as it would be the main launch site, and only a chance conversation between an Italian scientist and his American counterpart solved it. The solution was to approach the US Army for one of their out-of-service steel barges. It turned out that the Army had a 30*100m rectangular steel barge that had been mothballed for seven years. It was quickly signed off to the Italian/American project and towed to Italy. On March 25, 1966, San Marco was towed from La Spezia, Italy. It arrived at Mombasa two months later and stayed there for six months. On November 10th, it was towed to its resting point on Ungwana Bay, right on the end of Kenya’s territorial waters. Two weeks later, Santa Rita, which had been at Mombasa for two years, was also towed to within 500m of its counterpart. Kenya as the host of the San Marco Platform was an easy choice. Italy had approached NASA with a project to launch satellites as near the equator as possible. Such a launch would use less fuel and would allow for heavier payloads. To do so, they would not only need a suitable country but one with a stable government. Under Jomo Kenyatta and newly independent, Kenya seemed perfect. But even then, Kenya’s territorial waters only extended 5.56 kilometers (3 nautical miles) out at the time. The platforms could be supported in international waters, not having to pay Kenya anything for the main platform. 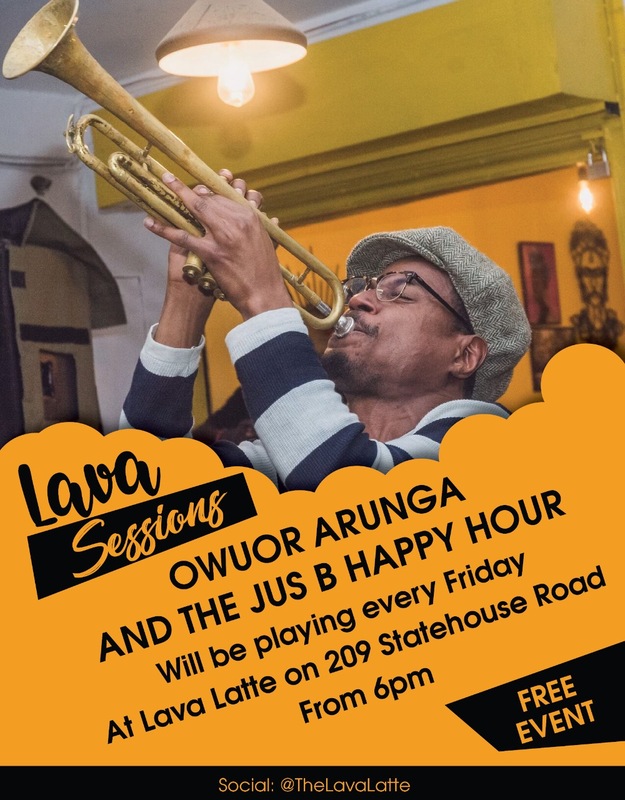 At first, Luigi Broglio, the lead scientist on the project, and his team had considered three areas: Lamu Bay area, the Ungwana Bay area and the Malindi area. All of them were near the Port of Mombasa, a crucial point as supplies and spacecraft could be transported quickly. To host a modified oil rig and a steel barge, the area also had to have an ocean floor that could hold such weight. Between December 1962 and May 1963, the teams carried out environmental studies on all three areas, eventually settling on the Ungwana Bay. Italy, to keep costs low, initially intended to use international waters for all main parts of the project. It just wasn’t feasible, especially because the project needed a ground station. So Luigi Broglio and his team approached the Kenyan government for land. They had had to convince Kenyatta’s government that the rigs being towed were not a secret American missile base, a thorny issue during those years of the Cold War. A ground station was then built in Ras Ngomeni, an initial temporary installation that took two months to complete. 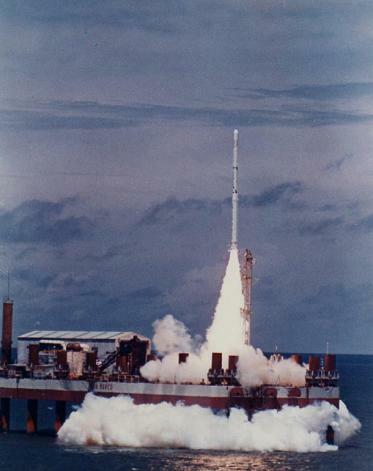 A test Nike Apache sounding rocket was launched off Santa Rita in March 1964. If it failed, one scientist quipped, they would just transform the rig into “an expensive Italian restaurant.” But it didn’t. In fact, over the next 24 years, a total of 27 launches featuring 9 satellites would be launched from the San Marco platform. There would be a 100 percent success rate of the 4 Italian, 4 American and 1 UK satellites. Most had to be flown in through Nairobi, then to Malindi, then by road to Ras Ngomeni base camp. There were only 4 launches, mostly tests, in the first six years, and then there was Uhuru. The 64-kg X-ray satellite Uhuru launched off the San Marco platform on Jamhuri Day 1970. It was built by NASA, and would be the first American spacecraft launched by another country. Its name, which means freedom in Kiswahili, was not accidental. Its official name was Small Astronomical Satellite-1 (SAS-1). It was supposed to be launched in early December but a battery failure delayed the launch. The next sensible date, which was a Saturday, also happened to be Kenya’s independence anniversary. Just the year before, a presidential proclamation had extended the breadth of Kenya’s territorial waters. It was no longer 3 but now 12 nautical miles (22.24 kilometers). This placed the entire Ungwana Bay, including the precise line on which the San Marco platform had been placed, right within Kenya. About 15 years later, the two governments would agree on an annual rent. But the San Marco platform survived past 1969 through sheer goodwill and a loose treaty signed in 1964. Uhuru was thus a statement of recognition that the space center was within Kenya’s borders. It was a hugely successful mission, mapping out X-ray wavelengths and in the process, discovering evidence of black holes. The last mission to ever take place from the San Marco platform lifted off on 25 March 1988. Christened San Marco after the launch platform, it was an Italian satellite weighing 236 kg. Since then, the platforms fell into disrepair but the ground station thrived, adding a remote sensing center in 1997 and acquiring new equipment for satellite data acquisition. A new 15-year renewable deal was signed between Kenya and Italy in 1995. In 2004, the Space Center’s management moved to the Italian Space Agency. It is now called the Broglio Space Center, named for the man who planned and implemented it.